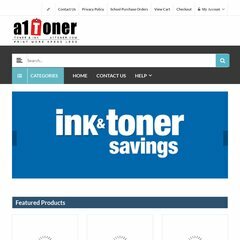 Topics: Ink & Toner, Brother, Canon, Dell, Epson, and Hp - Hewlett Packard. Age: The domain is 13 years and 1 months old. It is written for ASP.NET language. Comcast Telecommunications Inc (New Jersey, Moorestown) is the location of the Microsoft-IIS/7 server. dns3.name-services.com, dns1.name-services.com, and dns2.name-services.com are some of its 5 Nameservers. PING www. (24.104.53.140) 56(84) bytes of data.